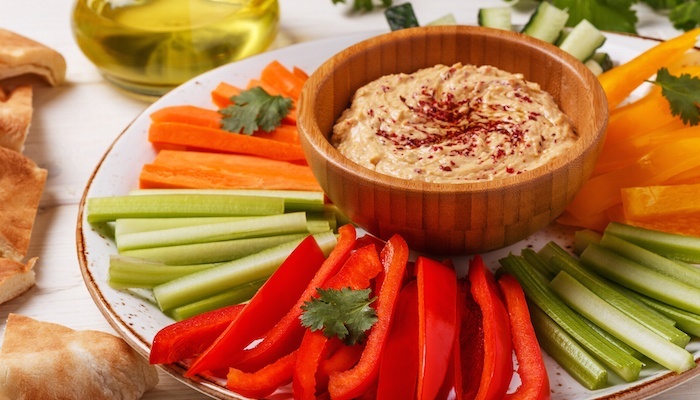 Visit any get together or party and you’re sure to find people grazing from a buffet of snacks, veggies and an array of dips and spreads that go along with them—hummus, yogurt, spreadable cheese and more. While the demand for spreads and dips is on the rise, so is the demand for healthier options. Self-proclaimed foodies are scanning nutrition labels for calories, fat content, protein and more. Increasingly, when it comes to an ingredient list, consumers are looking at what it doesn’t contain—artificial flavors, fillers or words they can’t pronounce. Most importantly, they don’t want to compromise on flavor or texture. In fact, bolder stand-out flavor profiles are driving the category. Recently, market research firm IRI reported that flavored spread unit sales rose 3% and dollars jumped 3.4% in the dip category. The trend doesn’t seem to be slowing and presents opportunities for food scientists and manufacturers to innovate and position themselves in this growing market. One promising finding is that consumers are willing to pay more for clean labels on healthy dips and spreads. As the market sees a flood of new products to match the growing demand, food manufacturers will have to go above and beyond their basic offerings if they want to capture more market share in the spreads and dips product category. To reduce fat content and lower ingredient costs while still offering a more natural product, Grande Bravo® functional whey protein provides the ideal, high-quality solution. This whey protein concentrate is very different from other commodity whey proteins on the market. Rather than taking a one-size-fits-all approach for our whey protein concentrate, our Grande Bravo product line contains SKUs that vary in functionality and flavor. Grande Bravo is able to complement your original product’s flavor, appearance and mouthfeel, often resulting in a lower-fat or lower-calorie version of your original product, all without having to sacrifice taste and texture — a common problem for traditional products. To top it all off, Grande Bravo can reduce or replace high-cost dairy ingredients like cream, butter, fat and cream cheese, saving money on costly ingredients while maintaining a clean label. Whether you’re looking to save on ingredient costs or to formulate a reduced-fat product with improved health benefits, Grande Custom Ingredients Group is here to provide a solution. Find out how Grande Bravo whey protein concentrate helped one food manufacturer reduce the fat, calories and cost – while maintaining a creamy texture – of a dip application in our Grande Bravo Spinach & Artichoke Dip Case Study. Click the button below to download your free copy.